For most of us, it takes some inspiration to come up with the setting that best suits you. That’s why we pulled together a list of 100 Christmas photo ideas for you to choose from. Simply sort through the filters to find the one that best fits your family’s personality. After you reenact the shot and determine your favorite, easily pick out your Christmas cards, display them, and share them with your loved ones! Whether you’re using cards to decorate your Christmas tree or sending them off to loved ones, your Christmas card photo makes the perfect statement for the holiday season. 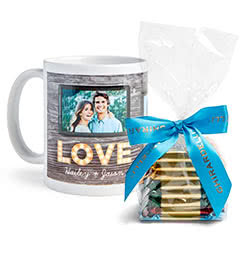 And, whether the photos are for your photo frame Christmas cards, or more elegant letterpress Christmas cards, or even for making something special for Dad with daddy Christmas cards, theses ideas are sure to leave you with something picture perfect. Make sure you save copies of your Christmas photos it’s a perfect way to reminisce about your goofy matching Christmas sweaters or longest running family tradition for years to come. Instructions: Click through the buttons below to sort by style. Click the photo for a larger view. Use oversized ornaments as a fun prop for kids to play with. Welcome winter by having one last photo shoot in the autumn leaves. Do a fun festive activity like baking cookies for especially sweet photos. Even by the beach this family made the pearl white sand look like winter snow in this clever Christmas photo. Dress in your Sunday best and use fake studio snow for a chic family photo. Explore with different camera angles—a birds eye view is always flattering! Rent a cabin for a fun photo shoot that feels like home but makes the day (and photos) extra special. Have some fun with the kids this Christmas photo session. Grab some tinsel and fake snow, and snap photos as they run wild. Christmas photos are about fun and family. Nothing says it better like a group kiss! It's a winter wonderland - perfect for some fun in the snow. Gather everyone outdoors and bundle up to replicate this snowy Christmas photo idea. Dress the children in matching outfits and take a loving photo outdoors. Make sure they are wearing their scarves. Set up your snowy scene for the kids. Don't forget the miniature sled to keep them smiling. Nothing like a giant, festive wreath to get you into the holiday spirit. Take your Christmas photos outdoors and set up a fun holiday scene at the tree farm. Matching mother and daughter outfits are great (and adorable) Christmas photo ideas. Gather the whole family out by the Christmas trees. Then squeeze everyone together to show your love! Take the kids to visit Santa and snap some Christmas photos as they hang out with the man in red. Use glitter or confetti for a fun action shot for your next Christmas photo. Gather all of the children around the tree and have Santa surprise them with presents! Head to the Christmas tree farm with the family for a festive photo this year. Make her the focal point in an adorable holiday dress. Gather the twins in a sweet matching outfit for a memorable Christmas picture. Dress up the little one in a dapper outfit for a fun spin on the family photo. Make your own simple winter berry crown and capture a lovely, festive moment. For a unique family Christmas picture idea, use chalkboard paint to create your own personalized mugs. Pick up tulle and simple ornaments to create your own inexpensive props. Take a natural photo by capturing your family in between posed shots. Make your family the highlight of the Christmas photo with a blurred background. Head to the local city center to capture a beautiful moment of your love for each other. A simple natural background will make your family the focal point of the Christmas card. Repurpose a large vase and holiday candies for an adorable newborn photo. Dress up your newborn as a snowman to replicate the cutest plush character. Slip on festive onesies to get your whole family in the holiday spirit. Get creative with a basic set of antlers to show all of the fun personalities in your family. An uncomplicated pose will share the sincerity of the moment. Let the kids have a blast with props for a funny Christmas card idea. A garland and festive throw make for simple, inexpensive holiday touches. Keep it casual and take your Christmas photos at a nearby rustic barn. Milk and cookies aren't just for Santa. Use Christmas staples at props for a cute family Christmas picture idea. Bright outfits and a simple background will make your family photo pop. Bundle up the twins in homemade holiday costumes for a one-of-a-kind shot. Match pieces of your outfit to master an adorable Christmas photo. Capture the moment that your little one can pick out their first Christmas tree. Head to the local firehouse for a loveable holiday photo that you'll cherish forever. Dress up in a shimmery gown for a Christmas photo fit for the stars. Get creative by using word bubbles to showcase your family's personality. Simple props make an adorable Christmas photo look effortless. For an elegant Christmas photo idea, dig up last years outdoor lights and make your own backdrop. Dress up in formal holiday attire to share big news with your family and friends. Even an out of focus shot can't mask your love for each other. Head to your local Christmas tree farm for the best natural lighting and backdrop. Look into each others eyes to capture a moment you'll never forget. Repurpose your Christmas decorations to create a festive bassinet and backdrop. For you next Christmas card idea, keep it casual and use simple props at a local Christmas tree farm. Wearing dark colors with a light background will make your family the focal point of the photo. Cozy up with a cup of hot chocolate to create a casual Christmas card photo. Capture the moment as you and your loved one decorate your new home for the holidays. Dress in pastel colors in a simple setting for a shot that you can repurpose beyond the holiday season. For a festive Christmas photo idea, dress up your whole family in their favorite costume. Incorporate props that spread the Christmas cheer and distract the kids at the same time. A comfortable environment for the kids will foster a natural Christmas photo. A simple strand of tinsel will add a Christmas touch to any pose. Focus on her adorable smile for the final moments that you're a family of three. Stay at home to take your Christmas picture in a comfortable setting. Showcase a winter staple of hot chocolate and marshmallows for a classic touch. For an adorable Christmas picture idea, pull the kids in a red wagon and enjoy the adventure. Connect hands with your family members for a fun pose that shows your love for each other. Surprise your friends and family with a festive Christmas pregnancy announcement. Position your newborn in their first stocking for the cutest keepsake. Gaze into each others eyes to show your affection for one another. Matching pajamas will create a memorable Christmas photo idea that your family and friends will love. Blow snow from your hands for a wintery action shot and a fun Christmas card photo idea. Connect two candy canes to create the perfect heart shape prop. If the photoshoot isn't going as planned, add a funny Christmas prop and work with it. Capture the moment when your little helping hands are in the kitchen. Capture your little one reaching for the cookie jar for a priceless shot. Take a stroll through a Christmas tree farm for a casual Christmas card moment. Let the kids play with the props to allow for their personalities to shine through. Wrap yourselves in your favorite quilt for a tight knit family photo. Get your feet wet and capture a precious beach memory with your family. Get creative and place your couch in an empty field to make your family the focal point. Take your final photo as a family of three with your little one as the focal point. Knit an oversized winter hat for an adorable newborn photo that you'll cherish forever. A black and white photo creates an elegant and nostalgic Christmas card. Have your little one help out with your annual family Christmas traditions. A milestone is worth sharing. Use a chalkboard to display your own personalized message. Bundle up the whole family for a wintry shot outdoors. Incorporate individual shots of your kids along with the family portrait for a well-rounded Christmas card. Send a card that's also a keepsake ornament for a Christmas tree. Add a simple holiday wreath to your family photo for a festive touch. Send cheer to friends and family by personalizing your Christmas card message. Can't choose just one photo? Incorporate many of your favorite shots in one Christmas card. Beautifully tell your families story with a keepsake ornament that have pictures on the front and back. Send holiday cheer to family and friends with a beautiful family portrait. Pile up the children on a sled for an authentic wintery shot. Combine a family portrait with a shot of the little one for a Christmas card idea that everyone will love. Show off your wedding photos with a loveable Christmas card. Capture a natural moment for a Christmas card that will make your family and friends smile. A black and white Christmas card is an elegant way to greet your friends and family. Send an adorable photo of the kids to captivate your family and friends. Have fun with the snow for a Christmas card that your friends and family will cherish forever. A simple glitter frame on your Christmas card will make your family shine . Send a collage of your favorite photos for an engaging Christmas card that your family and friends will love. Capture a jumping shot of the kids on vacation for a fun Christmas card. Create your own charming frame with all of your favorite family photos. Capture continuous shots to incorporate a number of adorable expressions on your Christmas card. Break out the confetti so your kids can have fun while you capture the moment. Build a living room fort to capture a loveable family moment in the comfort of your own home. Dress up your newborn in a miniature santa costume for an adorable photo you'll adore for years to come. Get in a family heightline to show how you've all grown since last years Christmas card. Come up with the best Christmas photo idea by make your little angel beam with her own feather wings. Miniature bedroom furniture creates a different perspective and an adorable photo. Simple ornaments will make your little one the focal point of your Christmas card. Use the baby of your family to announce the next addition to your growing clan. Dress down your formal attire with a festive throw and your adorable pup. Take an outdoor shot at dawn for a stunning family photo. Get creative by dimming the lights and wrapping your family in Christmas lights. Create your own festive living room scene in an outdoor space. Show your love for each other with a cute kiss and letter string art. Throw him up in the air for an adorable action shot. Grasp hands and swing her in the air to capture the moment she's giggling. Play hide and seek for a fun photoshoot. Take the shot from a different angle for an optical illusion that no one will forget. Add a festive pop of color with a simple prop.